Do something you don’t like every day. Visualization, decisiveness, Kanban and consistent will help a lot. We know that visualization is a powerful tool that helps us get things done. Adding Kanban makes the tool even better, as even difficult things, like doing homework, learning to take exams, going to the gym and so on, once they are on the board, you can’t escape them easily. 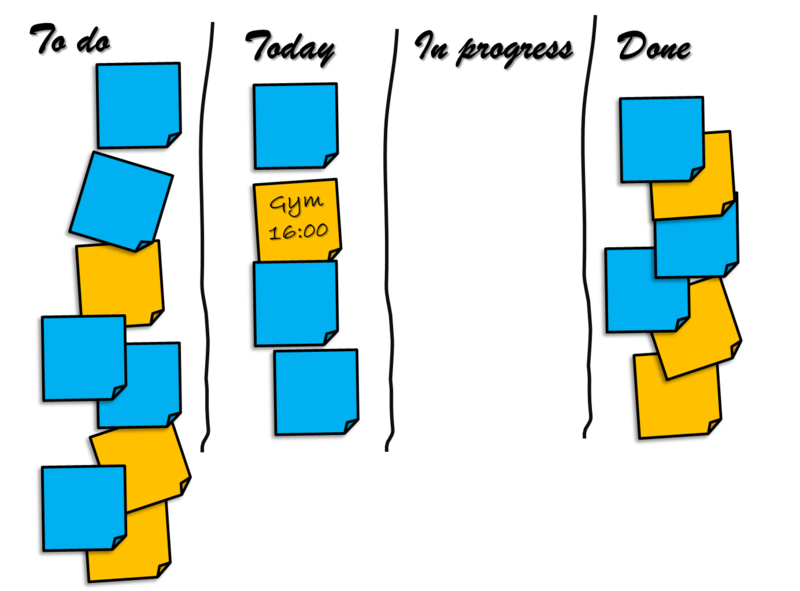 Even getting your kids to take out the trash or tidy their rooms can be done with a Kanban board. Of course, we parents need to be there to encourage, follow and explain. But what happens when we need to do something that we don’t like? We procrastinate. We ‘don’t have the energy’, or ‘now isn’t the right time for this’. Take going to the gym. It’s too hard. I’m too tired. It makes me sweaty. It’s not that we don’t know the benefits – we DO, and we know that we need to do it at least 3 times a week. But we don’t. Delaying these tasks more than necessary will not lead to a good result. In fact, things will get worse later on. Dealing with those unpleasant tasks correctly will lead us toward getting them done. It’s simple: visualize and mark the tasks you don’t like and perform one each day. 1. Visualize all your tasks using a task board, even ones you don’t like. 2. Prioritize your tasks. You don’t need to perform tasks that aren’t important, right? Furthermore, you can prioritize the tasks you don’t like and divide them into smaller, practical tasks later on. It will make getting them done easier. For example: Not all the exam material needs to be studied, right? There are probably more and less important issues there to scope on. Make sure hard learning topics are divided to smaller practical items, so you can pick one topic at a time and get it done. 4. Think of creative ways that will help you address those tasks you don’t like, like studying for your next exam with a group of friends. 5. Mark those you don’t like to do . 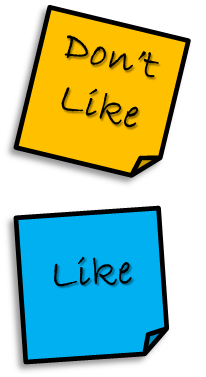 Use different colors to distinguish between regular tasks and those you don’t like. a. Pick up one task you don’t like. Only one, among all the other tasks. b. Schedule those that you don’t like into your routine and visualize them. 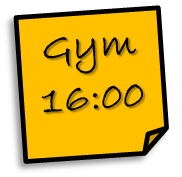 Yes, plan to go to the gym; plan to study; visualize it; write it down if necessary and make sure you do it. 7. Consider it as an obligation, a job. 8. Be decisive. Just do it! I don't like washing dishes, what to do?